I would like to introduce you to Sweet Nell. manufactured in Germany in 1905. There is quite the history lesson behind her. You will find no badge or makers symbol. even though some of them have seen better days. She stitches like a dream. as stated above she was manufactured in Germany in 1905. She then took a little trip to a distributor in London, England. at which time her badge was removed. that was made in Germany. This made tracking down her history a little more challenging. it all kinda fell together. A backwards F and forward R within the scroll-work. I got her last weekend at an estate sale. Was it from her family? Did she pick it up at a tag sale or second hand shop? She had 8? machines there. now resides at her new home in Oregon, USA. This is just one of the reasons I love old relics. I can hardly wait to stitch something other than scraps with her. 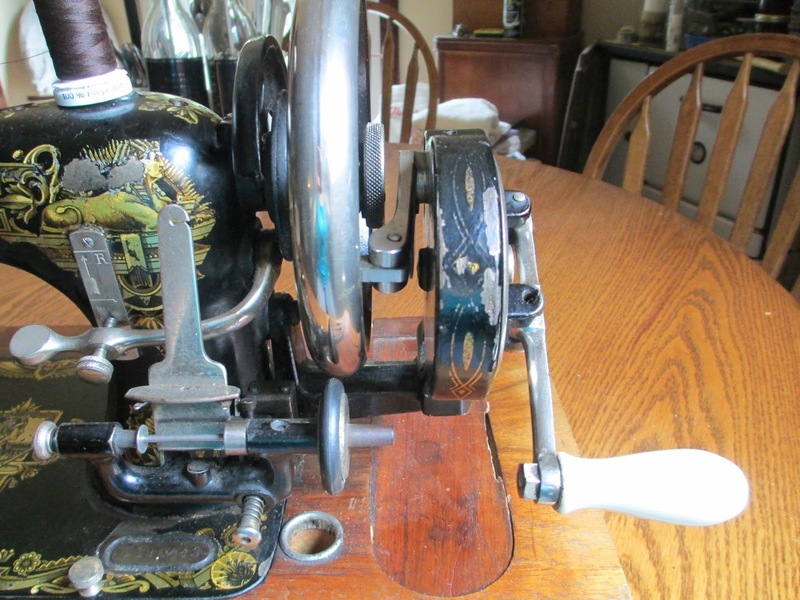 I have my great grandmother's treadle. My mom had it, and it was all dusty and dry. I cleaned it up, put a new belt on it, and gave it some oil. It runs very happily now:) I love how quiet they are. What a beautiful machine, if she could only tell you all of her story. 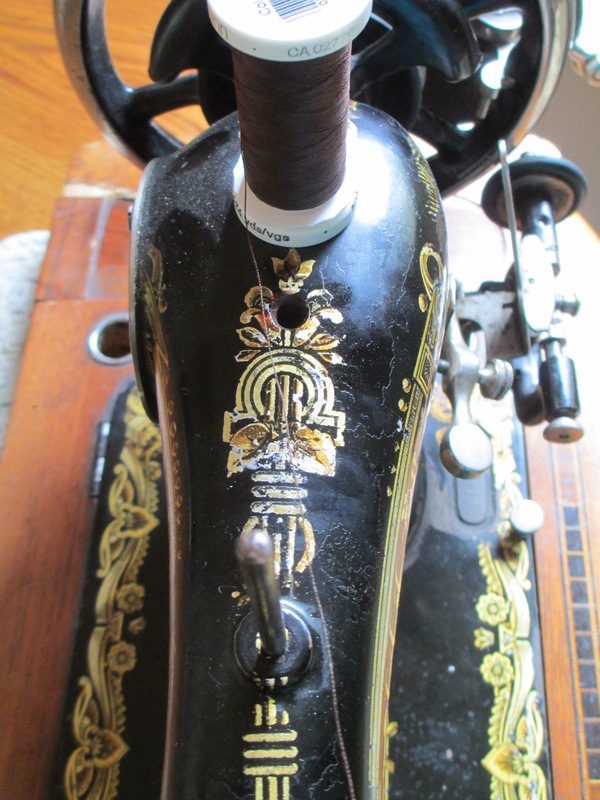 I just love the old sewing machines, having three of my own all from the 19somethings, unfortunately none that old. What a gorgeous machine! 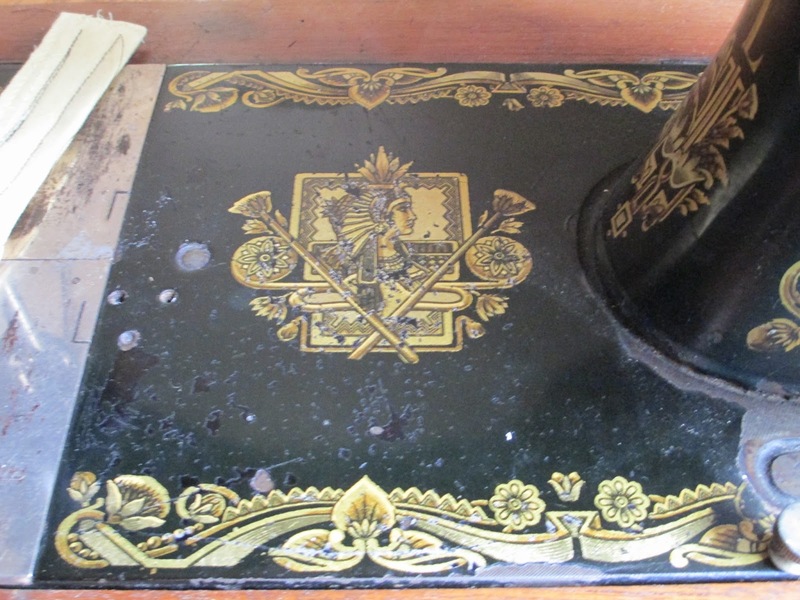 I love the care and detail that was putting into all the antique pieces. Would that they'd do the same today. Found you through Jes, enjoyed reading some of your earlier post as well. How neat that you were able to trace down its story/history! What a magnificent find. You have one great sewing machine with history there. Thank you for sharing with the Clever Chicks Blog Hop! I hope you’ll join us again next week! Tracking down the history was fun??? well challenging at least. I too love the craftsmanship that went into what are now antiques. If only we could expect that quality and integrity today. I had been hunting for one (within my price range) for some time and so far am very pleased. I'm glad to see others appreciate "old stuff." Oh Glory, Sweet Nell is a beauty. You have quite a treasure on your hands. I love the story behind her rovings, too. 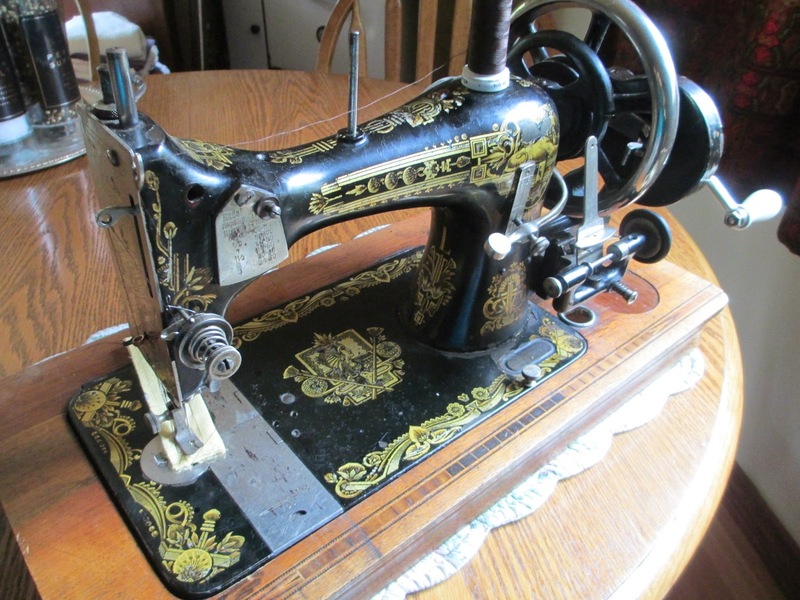 We should start a vintage sewing machine society and share stories with other owners. What a hoot that would be. If only these oldies could tell their tale. I would be like a little kid big eyed while listening to nothing else.